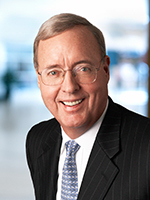 Baird Chairman & CEO Paul Purcell will be recognized as the 2014 Warren P. Knowles Award Recipient by the Medical College of Wisconsin Digestive Disease Center later this fall. The award honors an individual or organization with a commitment to health-related issues and whose work reflects the dedication to public service and education marking the career of the late Wisconsin Governor Warren Knowles. Previous recipients are a who’s who of area business and community leaders including former Baird Chairman Fred Kasten. Purcell will be recognized on November 10 at the Medical College’s annual Healthcare Dinner. Read the Medical College of Wisconsin’s news release here.